We know that your need honesty and expertise from top roofing experts. That's why when you call us, that is exactly what you get, regarldess of what you need us for. We are an insurance approved company who deliver outstamnding results and whose roofers display amazing levels of craftsmanship with every roofing job. 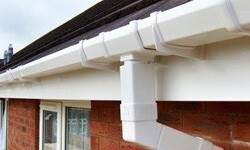 Across Ormskirk we provide a range of roofing and guttering services. You will always get a great price, which all starts with a free estimate on all roof work, and all our work is covered by our extensive guarantee, giving you peace of mind throughout. If anything goes wrong with your roof, or you are looking to update it, you want a roofer you can trust. We provide a full range of roofing services in Ormskirk - we are qualified, experienced and established roofing contractors, so you will always get local, qualified, professional staff. Talk to our team to see why we are the team for you. Call 0151 434 4910.